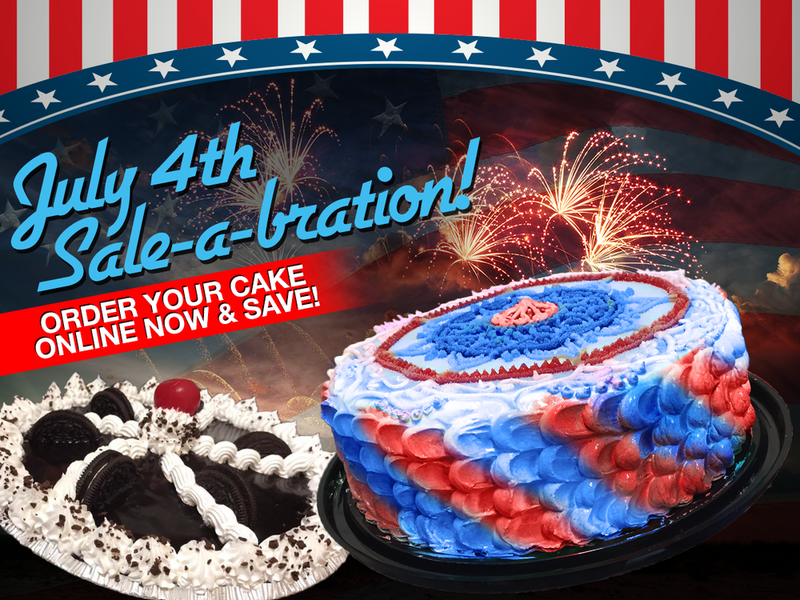 Order an ice cream cake or pie online now with code JULY4TH and save $5 OFF any purchase over $25! Your custom cake order will require at least 3 days notice. Offer expires 7/1/17.